Welcome to DILG Bulacan Provincial Office! SGLG Assessment of LGUs has been concluded. who will be awarded this year? Stay tuned. 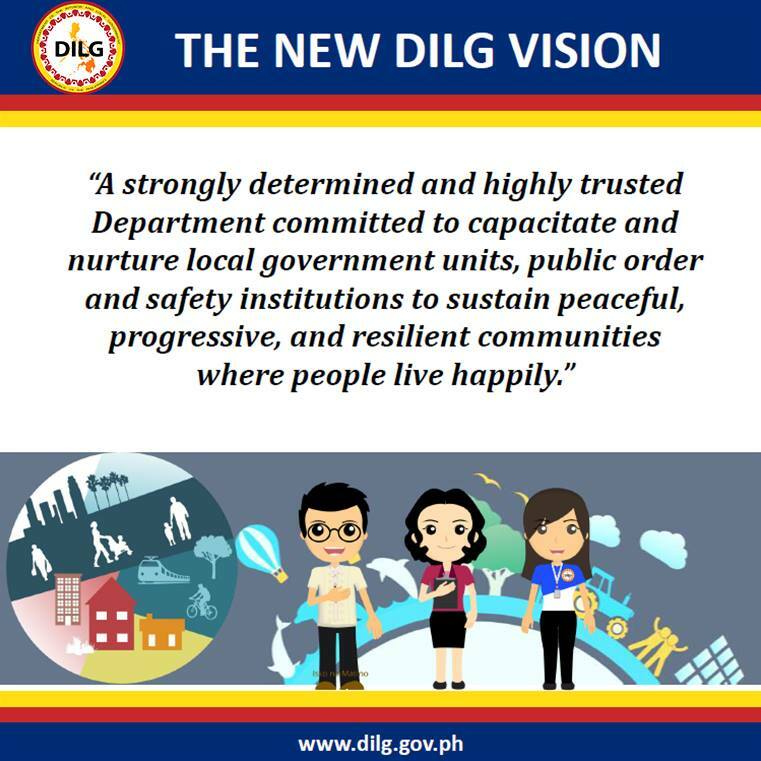 DILG Bulacan Personnel, Always Ready to Serve You! In its aim to reduce the vulnerability of Greater Metro Manila Area (GMMA) to natural hazards, the Philippine Atmospheric, Geophysical and Astronomical Services Administration (PAGASA) installed equipment for Community Based Flood Early Warning System (CBFEWS) to provinces located near Metro Manila. A turnover ceremony was held at Tanza Oasis Hotel and Resort, Barangay Capipisa East, Tanza, Cavite. On February 16. Together with the Provinces of Cavite, Laguna and Rizal, Bulacan Province received the said equipments which were installed in the City of San Jose del Monte and Municipality of Sta. Maria. Engr. Roy A. Badilla, OIC Hydro-Meterology Division (HMD) of PAGASA welcomed the participants from the said provinces which consist of DRMM, DILG and OCD Officials. Usec. Alexander Pama, Administrator of OCD and Executive Officer of NDRRMC delivered his message. He emphasized that the LGUs should be the front liner when it comes to disaster management. He also stated that those early warning devices aim to save not only citizens but also their livelihood. Representative from each provinces accepted Plaque of Appreciation from PAGASA as a symbol of their support and cooperation in the implementation of the project. DILG Bulacan OIC-Provincial Director Darwin D. David, received the plaque in behalf of Gov. Wilhelmino M. Sy-Alvarado. Engr. Roy A. Badilla, Social Weather Specialists, HMD, PAGASA lead the tour at Bunga Automatic Water Level Station located at Barangay Bunga, Tanza, Cavite. He explained to the participants how the device functions. The said equipment consists of rain fall sensor, water level sensor, GPS, and controller. He also mentioned that real time data gathered by the device was transmitted through radio frequency at the control center located at the respective PDRMM Office and PAGASA.